Yep, I’m still doing Toddler Art! In October, I had 3 or 4 daycare/preschools show up along with all the families, and it was super fun chaos. But I think all the people ended up scaring the daycares/preschools away because they haven’t been back since. I’m planning to send out letters to those daycares/preschools, inviting them to a special Toddler Time session just for them. Fingers crossed it works out well! Children dip the Q-tips into white paint and decorate to their heart’s content. 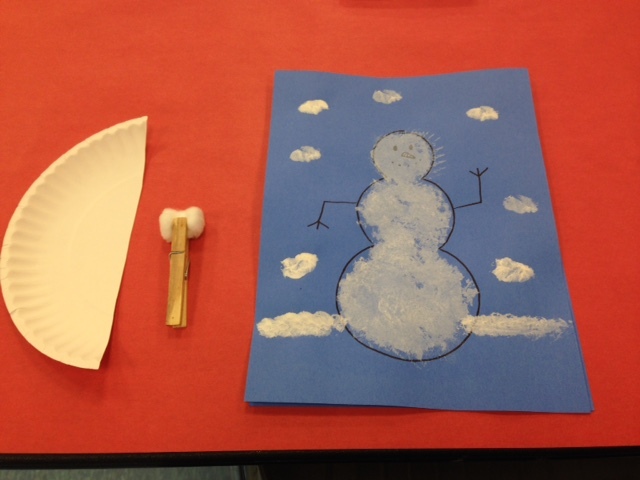 *The kids had a lot of fun adapting this craft. There was one little boy who cut up (or I guess his mom did) the Q-tips and used them as a way to decorate the snowflake (the white paint acting as glue). 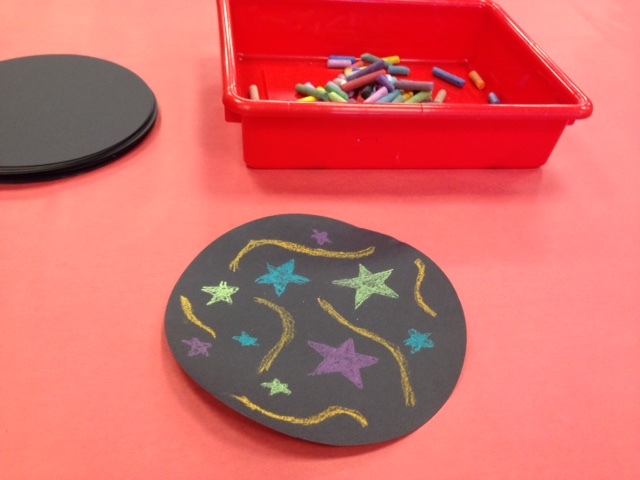 And several kids painted their snowflakes white then rushed over to the other tables to use glitter to decorate. 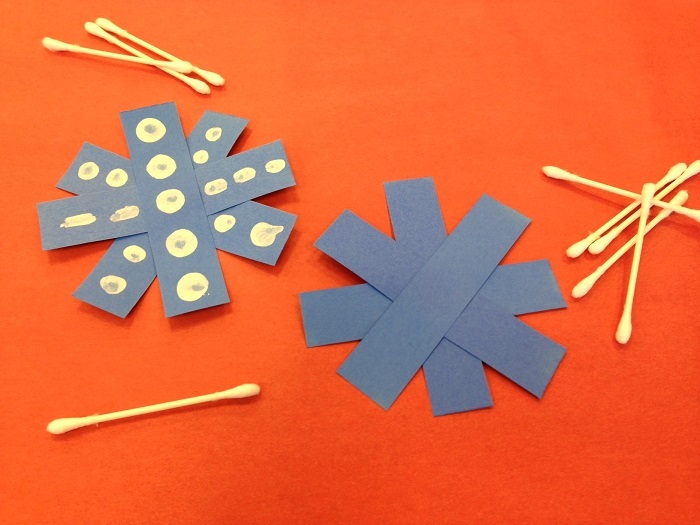 Children decorate snowflakes using colorful stuff. **I was mildly worried that some of the toddlers would try to eat the pasta, but none did. 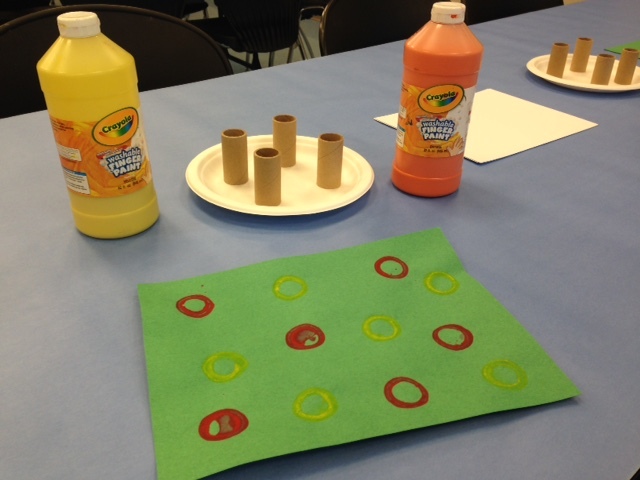 Overall, it was a very, very fun Toddler Art! A bit messy though…I still have to sweep up some glitter that got away from the tables. 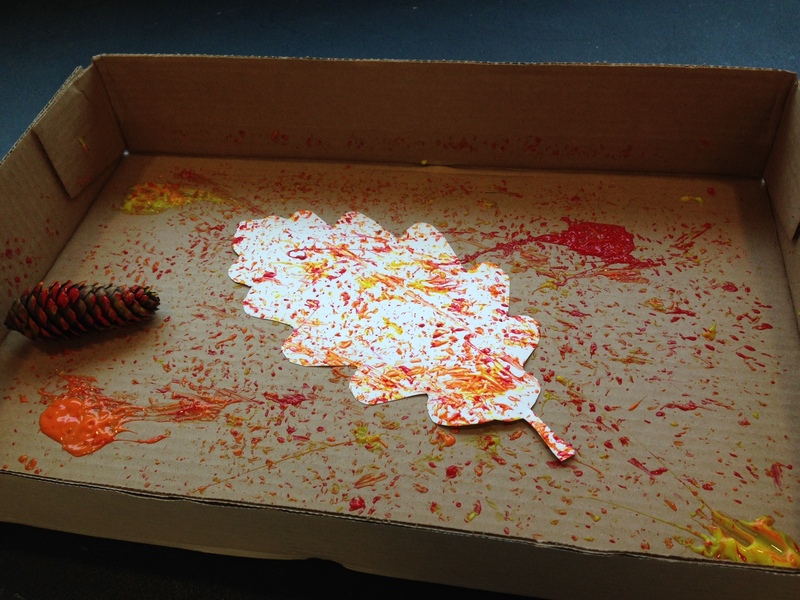 Thankfully our program is intended for messy crafts. 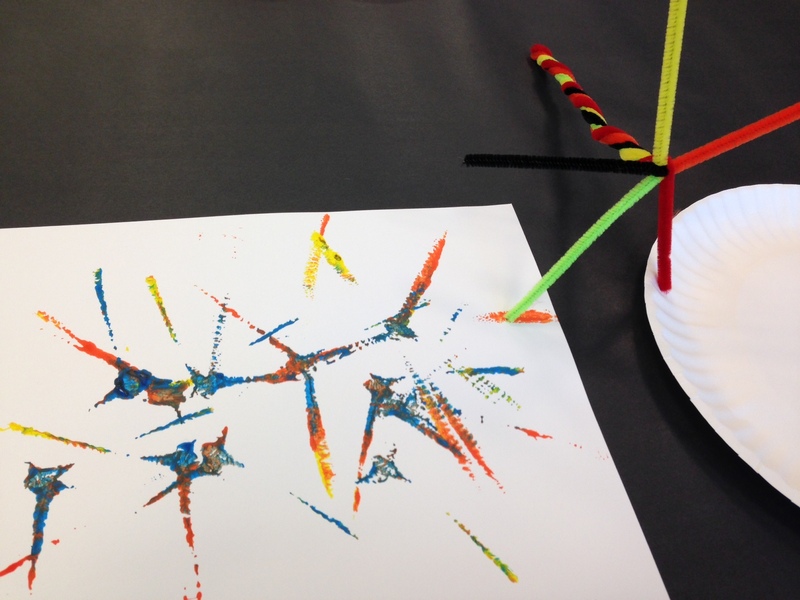 Toddler Art is quickly becoming a program that I hate planning for, but love implementing. It draws such a huge crowd, and my coworker and I always have fun watching the parents and toddlers stamp, smear, and crinkle their artwork. I usually bring the iPod in and have music playing (softly) in the background, which really helps create a warm and welcoming atmosphere. By the time the program is over, I’m feeling pretty darn good about the whole thing. Until I realize that I have to start planning the next Toddler Art. This month was a little tricky because I wanted to avoid any holiday crafts, but also wanted to have a festive atmosphere. 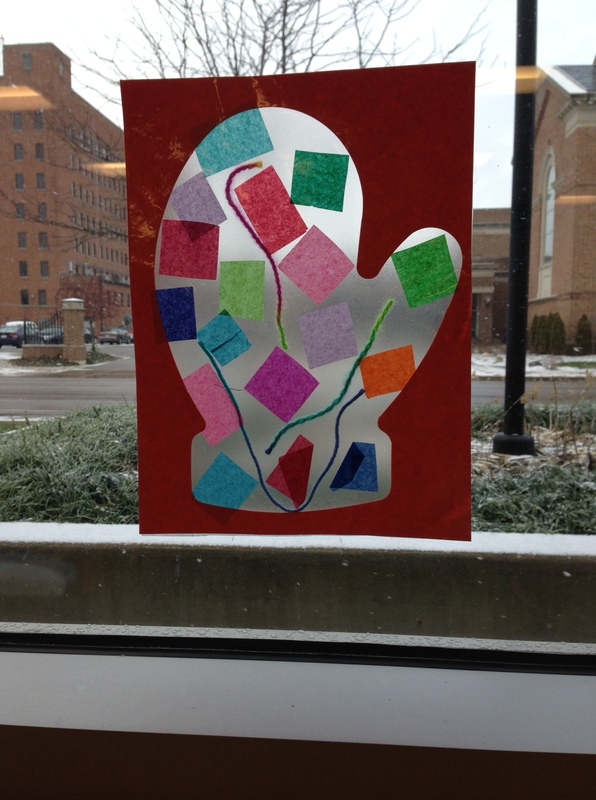 I figured celebrating snow and winter would be a good way to go, so I had a snowman craft and a mitten craft. *The cotton balls got weighted down with paint very easily, so I was changing cotton balls out after children had finished. It was a bit of a hassle, but not so much of one that I wouldn’t do it again. *This was one of the easier crafts that I’ve done for this program. Prep time was quick since I had a mitten die cut. 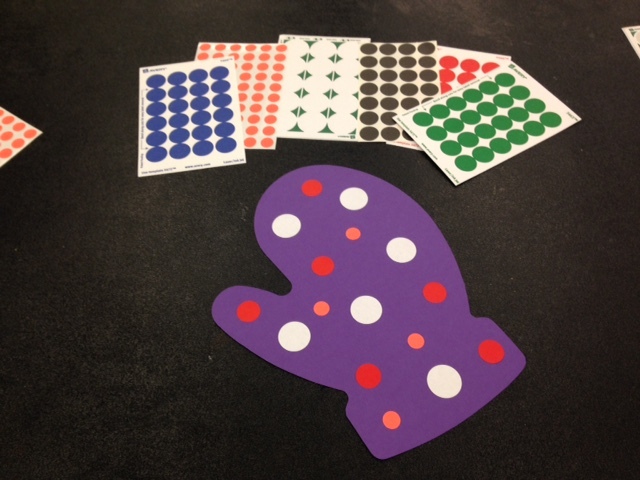 The craft was self explanatory, and we only needed to keep an eye on replenishing stickers. It’s official. Toddler Art is popular. I had 45 little ones come in with their grown ups to make this month’s toddler crafts, and it was an amazing and slightly chaotic hour (thankfully I had a coworker on hand to help out!). 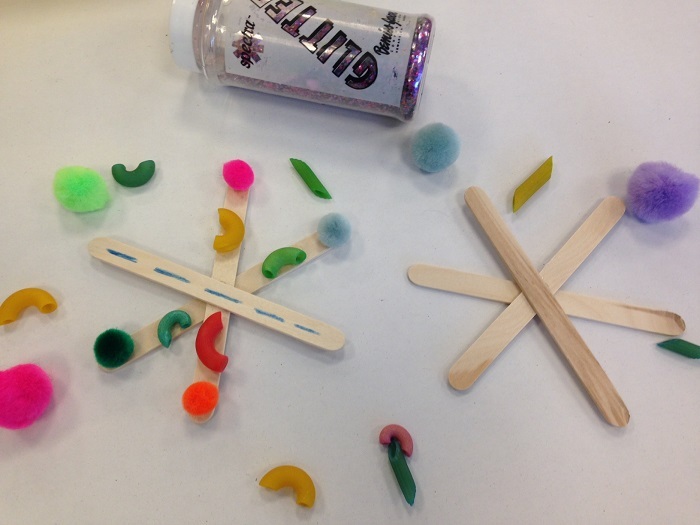 I once again offered two crafts — one clean and one messy — although I’m pretty certain that almost all of the participants ended up doing both. Still, I like the idea of offering two. That way if I ever do get a parent who doesn’t want his/her child around (non-toxic, of course) paint, they can still participate. 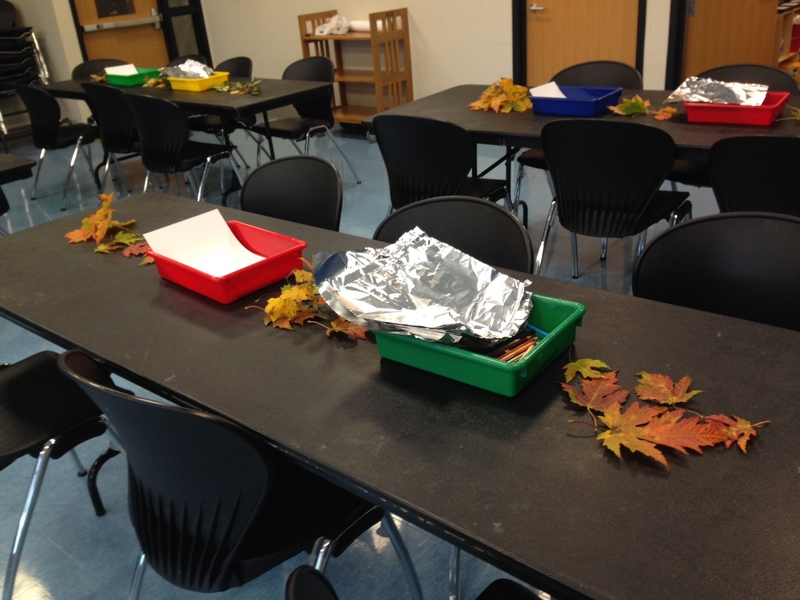 I had an unofficial Thanksiving theme for this program and offered two different food-inspired crafts. 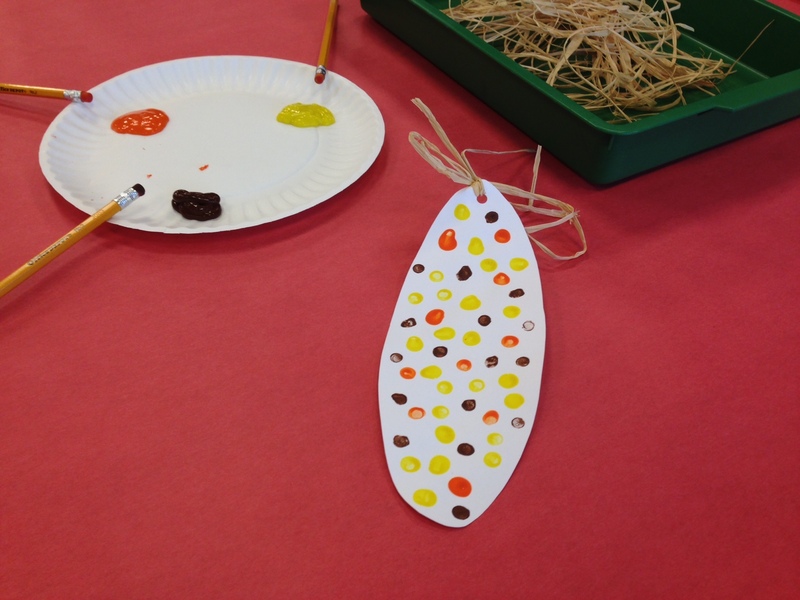 This corn on the cob craft uses pencils, paint, and straw-like raffia. I had originally wanted to do this one in October, but then I ran out of contact paper, so it got pushed back to November. 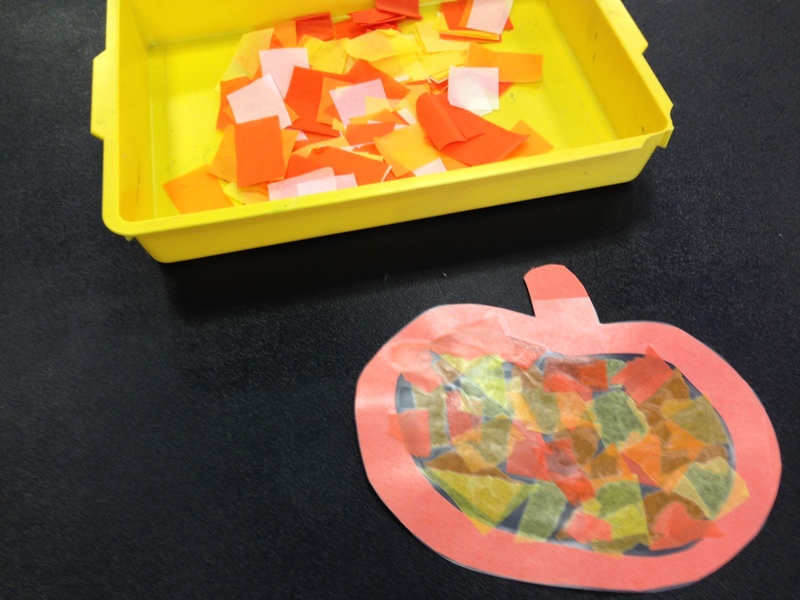 I had a summer staff person cut out the pumpkin shapes for me, then I slapped on some contact paper, placed some tissue paper squares on the table, and let the tots have it.